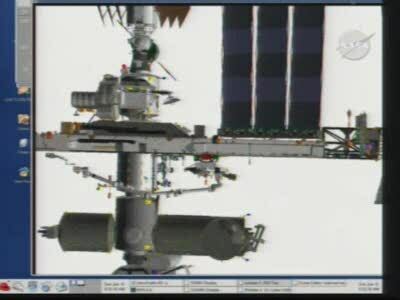 "Overgloves may be removed per crew preference for the following NTA prep tasks: QD (Quick Disconnect) ops and thermal cover installation and electrical connector ops. 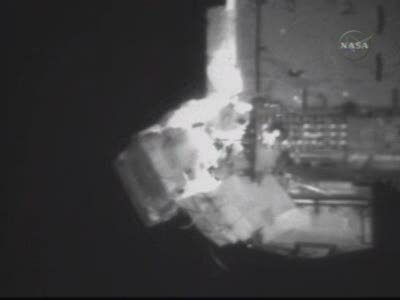 "Do not wear overgloves while holding the NTA on the SSRMS (Space Station Remote Manipulator System). "Safety issue: Lack of tactile feel during SSRMS maneuvers with NTA increases risk of losing NTA and possible subsequent vehicle damage. 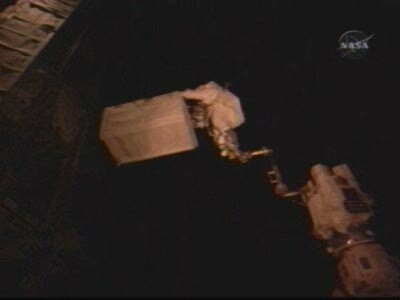 Overgloves will be worn at all other times during the EVA unless crew fatigue/safety is at risk." 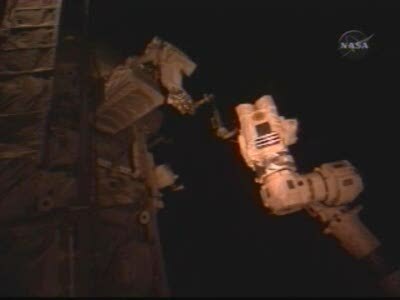 I thought they were still wearing the new modified gloves from EVA1 and therefore not using the overgloves on this one either. But I guess the FRR info was in case they reverted to the prior unmodified groves. 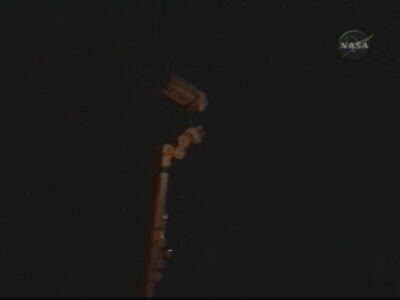 A few minutes behind the timeline because of the problems with APFR ingress position, but likely to catch up once they get started with the NTA tasks. That's the point (sorry, wasn't clear, too busy listening to PAO Rob ). The new gloves not only help protect the gloves, but avoids the complications noted above because the new glove mod has proven to be a success...noting the overglove could make life harder in keeping hold of the NTA. 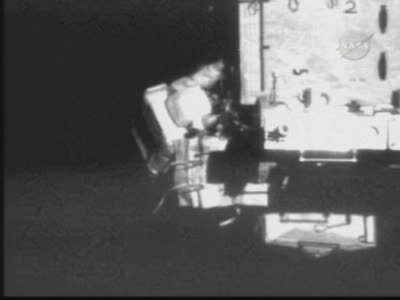 Hey, I see NTV has added a overlay with the EVA elapsed time clock (when KU unavailable and showing the MCC camera). Maybe this is the start of trend! 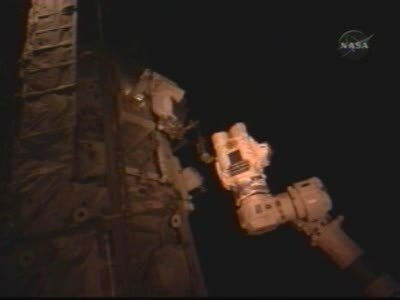 Still on S Band stills: Fossum working on the NTA, and the view of arm position according to the robotics console. Ku back momentarily, according to PAO. They started showing it in 122 or thereabouts, I seem to recall. This is the new Linux OS I remember reading something about, right? The taskbar definitely looks like a Linux distro, but I couldn't tell you which! Just passed 1 hour elapsed. No problems with the gloves, ready to pull the NTA out of S1, and start the big ride. Finished outward motion, ready to start the swing. How long until orbital sunrise? Or is his view entirely blocked by the NTA? I bet he wishes it was daylight, it would be a great time to watch the earth go by.